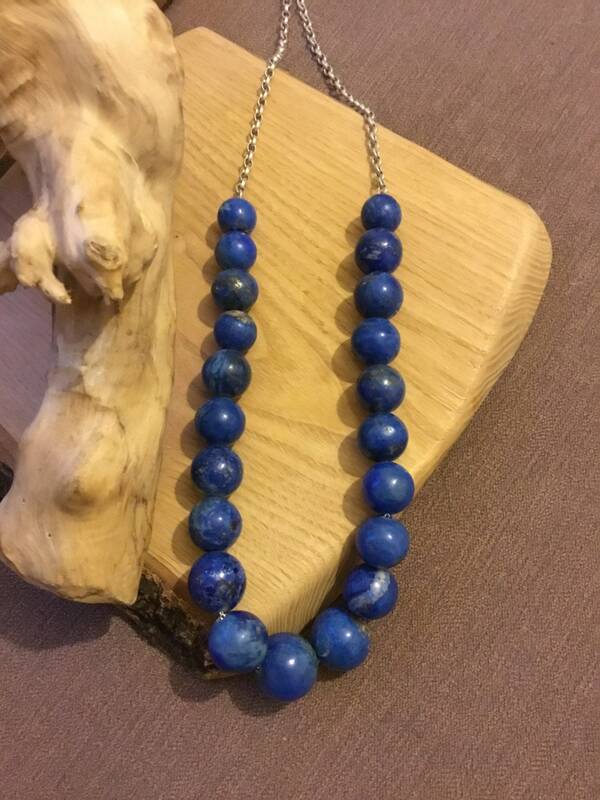 This Fantastic Necklace Has 21 Round Lapis Lazuli Beads, Graduating From 15 mm To 22 mm On a Sterling Silver Chain With A Curved Loop Clasp. 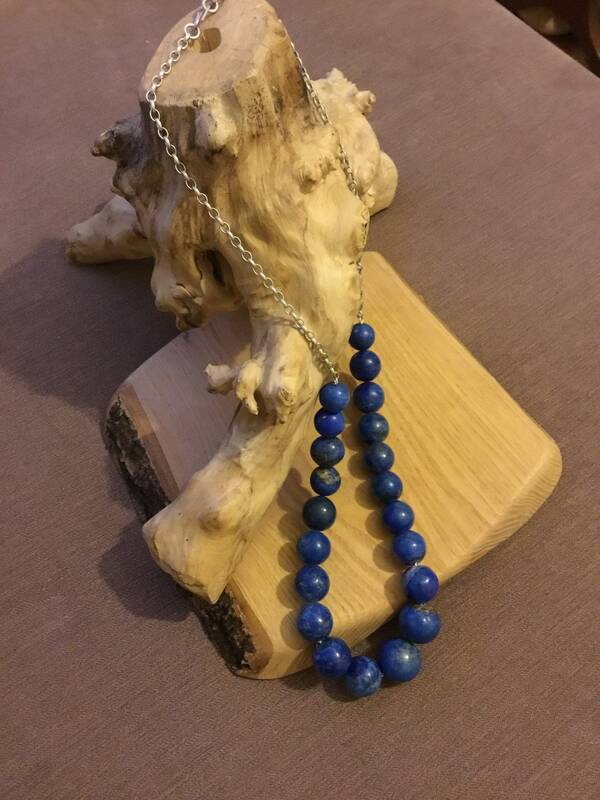 The Necklace Measures 31 Inches in Length Which Upon Request I Can Shorten To Suit, The Curved Clasp Will Fit Through The Chain To Adjust The Length Which Would Leave The Rest To Dangle. 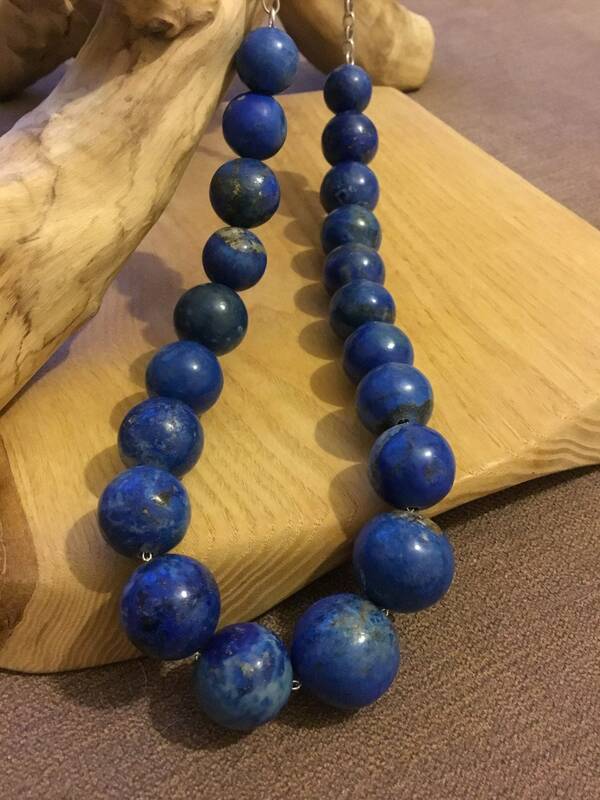 Each Bead Varies In Colours From Light To Dark Blue and Most Have A Good Quantity Of Gold Veins With a Few With Faint Patches. 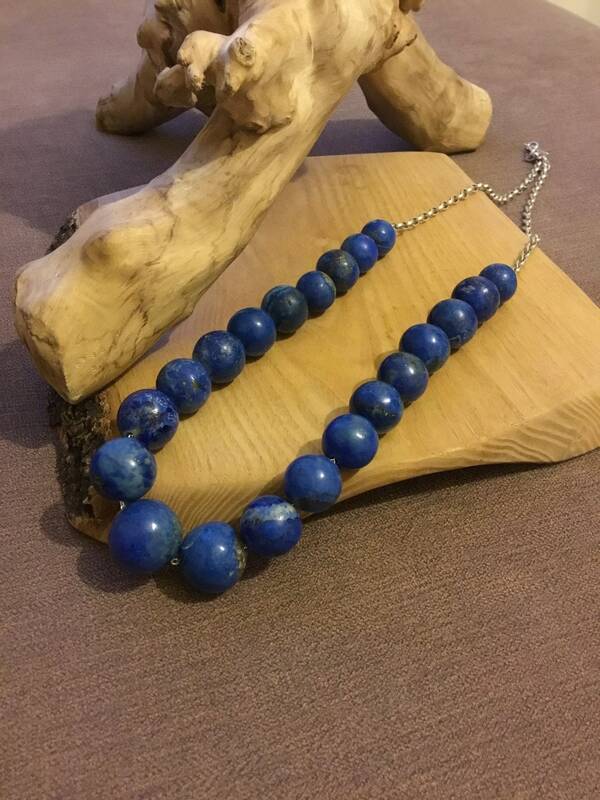 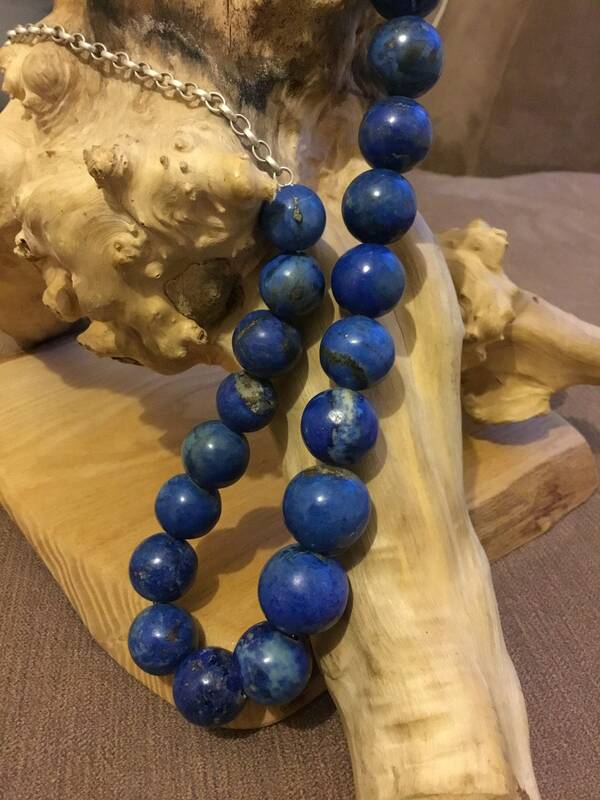 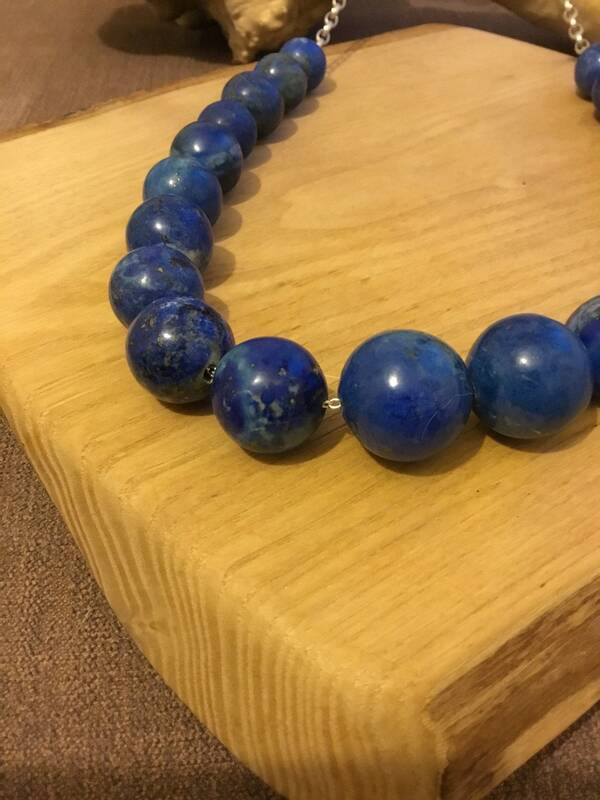 I Have Cleaned The Silver and Lightly Polished The Lapis Beads To Bring Back Their Beautiful Lustre. 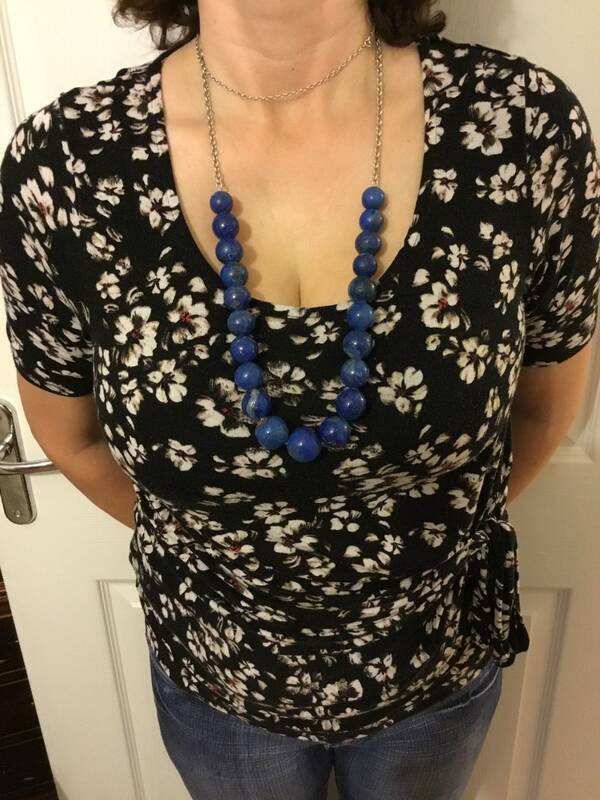 As The Beads Are Quite Large There is a Fair Weight To This Necklace. 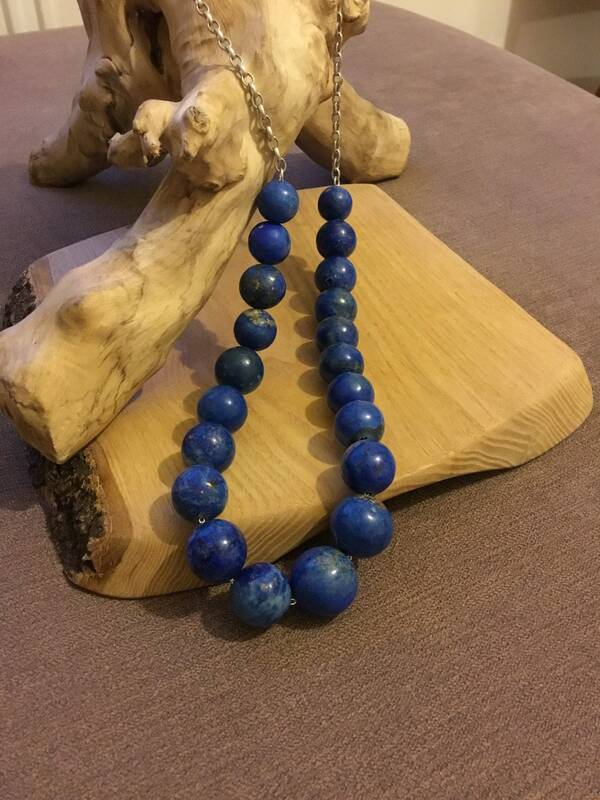 This Will Come In a Jewellery Pouch.